CD "J.S. 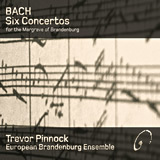 Bach – 6 Brandenburg Concertos"
James Inverne, Gramophone, Editor's Choice – March 2008 "The playing, with an ensemble that brings together some of the world's leading Baroque specialists, is supreme." Andrew Clark, Financial Times: 5/5 Stars "It’s a revelation to find the allegros played with such brio, to hear the wind voicing in the second and forth concertos so subtly balanced and articulated, to sense Bach’s daring instead of his order and discipline. This is now my first-choice recording of the Brandenburgs." Richard Lawrence, Classic FM Magazine: 5/5 Stars "Pinnock's direction from the harpsichord is a model of crispness, and the build-up to his big solo will have you cheering." Daily Express: 4/5 Stars "It’s a stunning recording and the ultimate vindication of Pinnock’s interests." Gary Lemco, www.audaud.com "These performances by the eponymous Brandenburg Ensemble enjoy a warm, intimate sonic patina that often reminds one of their antique antecedents." Andrew O'Connor, International Record Review "This new glorious set ... can be unreservedly recommended." Trevor Pinnock | Double-CD "J. S. Bach Partitas I-VI"
Stereophile online: "excellent sound ... rich, warm, and resonant ..."
"... The warm, full, rather resonant recording beautifully captures the rich sound of his fine instrument – a David Way copy from 1983 of a Hemsch original – as well as the detail of his playing. ..."
Stereophile online review: "The recorded sound is also excellent. If you speak while touching the case of a good harpsichord, you can feel it tremble, as if it were eager to sing. The sound of this set captures that feeling, being rich, warm, and resonant, without emphasizing the plucked attacks of the instrument (a 1983 re-creation by David Way of a Hemsch original). The occasional low bass notes have delicious weight, without booming, and when Pinnock uses a damped stop, the cascading notes illuminate the recording space in a most pleasing manner." 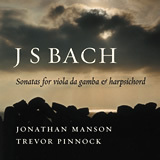 Jonathan Manson, Trevor Pinnock | CD "Sonatas for Viola da Gamba & Harpsichord"
Classic FM Magazine: 5/5 Stars "... the balance is excellent"
Metro Newspaper: 5/5 Stars "... Everything connects – the quality of the playing, the joie de vivre of the performers, the warmth of the acoustic – and it all adds up to something that hums with the mystery of the captured moment. [...] A performance of luminous beauty." 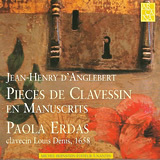 Paola Erdas | CD "Jean-Henry D'Anglebert – Pieces de Clavessin en Manuscrits"
Kemer Thomson: "This recording is outstanding on all fronts: the recording sound, the instrument and the performance." 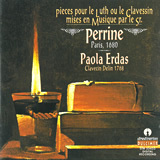 Paola Erdas | CD "Perrine"
"...sound quality: excellent. Natural sound, well spaced..."
Trevor Pinnock | CD "J. Ph. 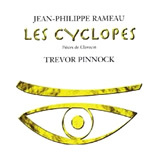 Rameau – Les Cyclopes"
Toccata Press: "FANTASTIC recorded sound ... genuinely ear-boggling"
"The crisp definition of the recording faithfully transmits the unique qualities of the Goerman harpsichord […] Those who revere sophistication and sheer beauty of sound should choose Pinnock." Martin Anderson – Toccata Press/Toccata Classics [www.toccatapress.com]: "It is astonishing, really astonishing: TP’s electric performances aside, the recorded sound is of an immediacy that has my ears out on stalks. […] FANTASTIC recorded sound, vivid, depth, everything you could want; genuinely ear-boggling." 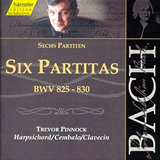 Music Week (12th March 2005): "Trevor Pinnock scooped a Gramophone Award a few years ago for his acclaimed recording of Bach’s keyboard Partitas. His latest release of Rameau harpsichord pieces on Avie is every bit the prize winner’s equal and often its superior. […] Prepare for a flood of five-star reviews for this outstanding title." 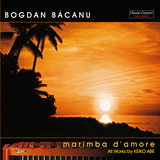 RR (May 2005): "The Goermans/Taskin is a superb example of its type, rendered here in a recording of absolute clarity"
Bogdan Bacanu | CD "Marimba D'Amore"
"Interessant [...] die Anmerkungen zum Thema Aufnahme und Mikrophonaufstellung, gerade weil der transparente und natürliche Klang der Marimba, der auf das Konto von Michele Gaggia geht, auf diesem Album wesentlich zum Gelingen beiträgt." 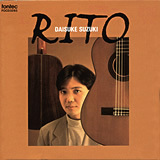 Daisuke Suzuki | CD "Rito"